U.S. Travel and Building America’s Future have teamed up to present an app that will allow weary travelers to make their voices heard by Congress. 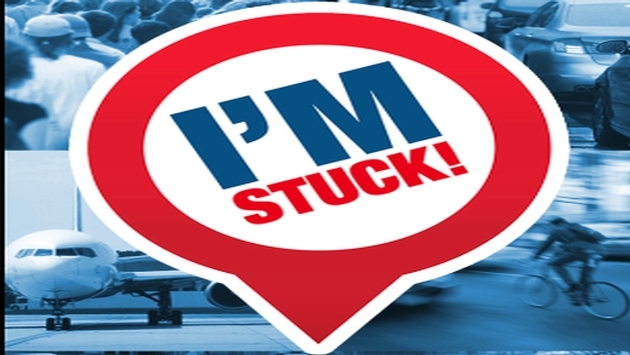 The app, I’m Stuck, allows those concerned about America’s transportation system to directly voice their complaints to their designated U.S. Representative or Senator from their smartphone, whether they are in their car, on public transportation or at an airport. The Highway Trust Fund, America’s main source of funding for roads, bridges and highways, will run out in early August unless Washington lawmakers find a way to replenish it. U.S. Travel and Building America’s Future held a press call on July 1 to address the matter and urge media to get the word out during the busiest travel season of the year. Jim Abrahamson, National Chair of the U.S. Travel Association and CEO of Interstate Hotels & Resorts, was on the call. So was Ed Rendell, former Pennsylvania Gov. and Co-Chair of Building America’s Future. Both Abrahamson and Rendell voiced their concerns about the country’s transportation infrastructure during the call. “All parties see the need (to improve transportation infrastructure), and the people do, too,” Rendell said. Rendell added that not only will transportation be a mess if the Trust Fund doesn’t pass, it will also lead to tens of thousands of jobs being lost across the nation. He said that it’s time to increase the app’s “visibility and impact” at a critical time. So far, Congress members have received more than 15,000 emails from users of the app. Hotel companies such as Marriott International have joined the effort to promote the app. Arne Sorenson, President and CEO of Marriott International, recently promoted the app to Marriott employees, and asked them to do the same to the rest of the country. The I’m Stuck app allows users to address Congress members in three easy steps. First, they indicate how they are “stuck” on the app, whether it’s a traffic jam, a subway delay, a plane delay, an overcrowded transit vehicle or bicycle riding concerns. Second, users type up their email, adding a photo as proof if they want, and then enter their personal information and address to identify which Congress members to contact. Best of all, you no longer need to write a letter to Congress. The I’m Stuck app allows you to address Congress members in real time, while also featuring the bonus of adding a photo to highlight the issue. I’m Stuck is a free app available for iPhone and Android. Go to www.bafuture.org/imstuck for more information.